This year Ganesh mandals in Vadodara put innovative ideas in making Ganesh idols with eco friendly messages. From paper, chocolate, flowers, leaves, fruits they use every medium to spread the message effectively during the ten days of festival. One Ganesh mandal Chitesthan Yuva Mandal in Raopura took one step further and install Ganpati made of raw bananas. 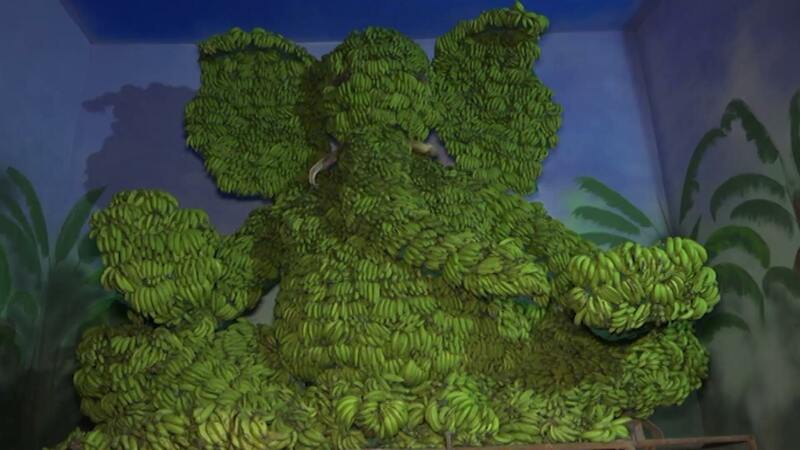 The mandal use 850kgs of raw bananas to design the shape of Ganesha and installed this year in their area. The banana idol will be there for 10 days in the mandal and on visarjan day the organisers will take out the procession in the area and then distribute the bananas as prasad to the devotees. “There is a serious need of awareness towards saving the environment for the future generations and hence we decide to install some innovative eco friendly idol in our pandal. 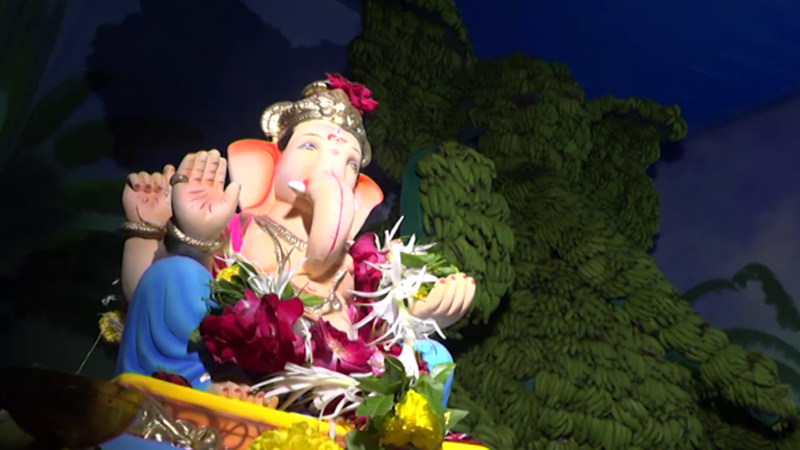 We brought 850kgs of bananas and transfrom them into a design of lord Ganesha and installed. The raw bananas will get ripe in 10 days and we offer them as Prasad to the devotees,” said Nilesh Vasava president of the mandal. He said in 1994-95 similar type of Ganesha was installed in the city and since then they are planning to install similar idol and this year fulfil it.